A fine translation of this Hindu classic. A verse-by-verse translation with Sanskrit in Devanagri, transliteration, and commentary. 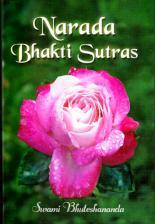 Based on classes given by the author while visiting the Vedanta Centre in Japan. The translaor, Swami Bhuteshananda, was the 12th President of the Ramakrishna Math and Ramakrishna Mission. He was loved and respected for his saintly personality, his profound scholarship, and his lucid exposition of the scriptures. As a Vice-President, and later as President of the Order, he traveled extensively to propagate the message of Vedanta as propounded and practically demonstrated for the modern world through the lives and teachings of Sri Ramakrishna and Swami Vivekananda. He visited the Vedanta Centre of Japan ten times, staying there for about 75 Japanese students of Vedanta. Many who attended his classes during these years, later taped, transcribed, and sent the transcripts to Belur Math. The devotees of Japan being neither well conversant with English nor with Indian religious traditions, Revered Maharaj's talks were conditioned by the circumstances there. 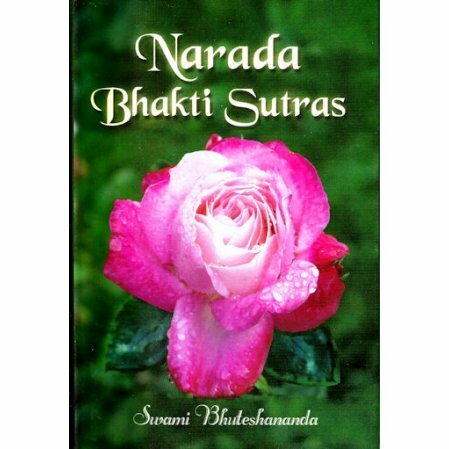 Though these talks were published serially in Vedanta, the journal of the Ramakrishna Vedanta Centre, U.K., Revered Maharaj initially rejected the idea of bringing them out in a book form, for he felt that the lectures were superficial. Impressed by reading the lectures in Vedanta, many, however, persisted in their request to Revered Maharaj to publish them as a book. When he was in the hospital in 1998, Revered Maharaj heard the entire script read out to him, and suggested corrections at some places. This editing continued till his last day at Belur Math. When he was hospitalized on the 5th August 1998, from where he never returned, Revered Maharaj dictated the English Translation of the aphorisms. The last aphorism he translated was the 62nd. Subsequently, the remaining 20 aphorisms were translated using Revered Maharaj's own words from his commentary by one of his trusted assistants in literary activities.